My life in a suitcase. We drive through the city. Where are we? At sunset, I find myself on a rooftop with a pool. 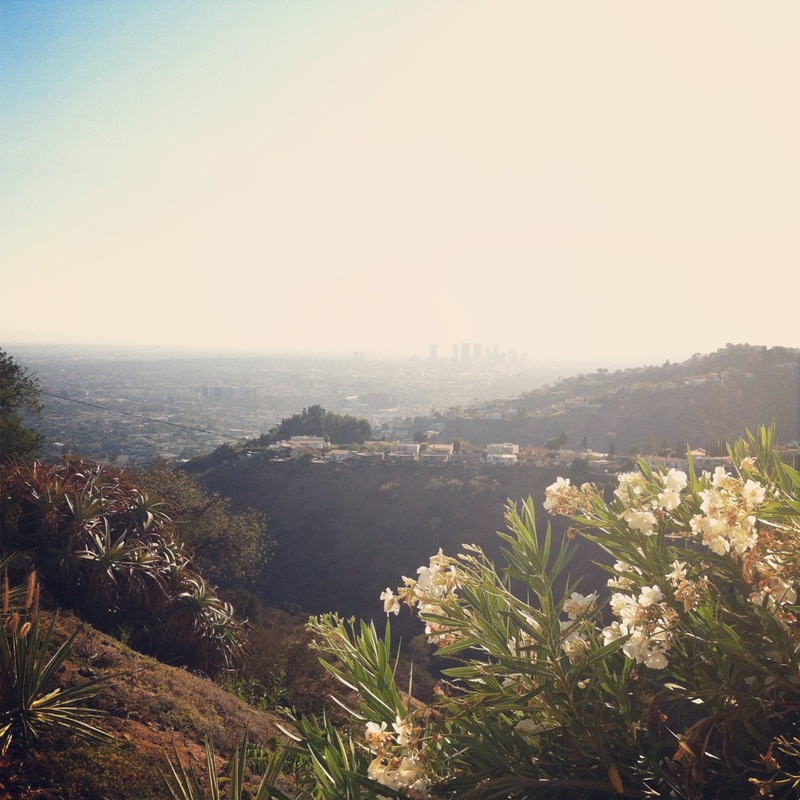 Somewhere in North Hollywood. I’m finally here. Don’t go the easy way. Today I hung out with Jon Ingoldsby, an amazing composer and engineer, who has recorded artists such as Lana Del Rey, Madonna and Elton John. We talked about music and life. Especially this week, which has been an emotional roller coaster, it feels so good to meet people you instantly connect with. The view from the studio made my heart skip not one, but a few beats. I have never felt as horrified, sad and powerless as these past days. Coconut + Straw = Life complete. The atmosphere was beyond words. I felt as if somebody had wrapped me up in cotton candy and dropped me off at dreamland, where the grass feels soft as a carpet and people are beautiful. 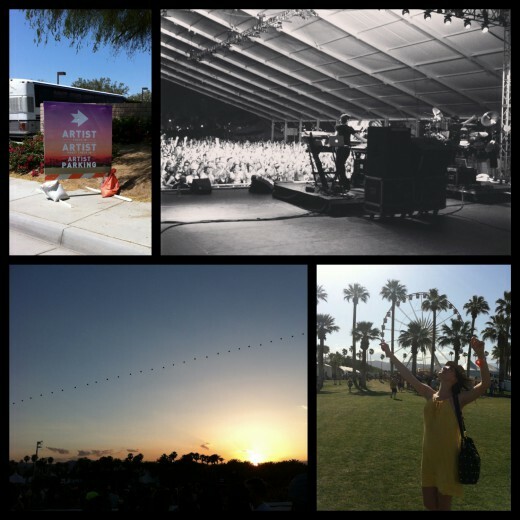 Music, balloons and desert sunsets –what more could a heart desire? * Thank you Arno & Walter of Booka Shade for the orange wristband and an unforgettable weekend. 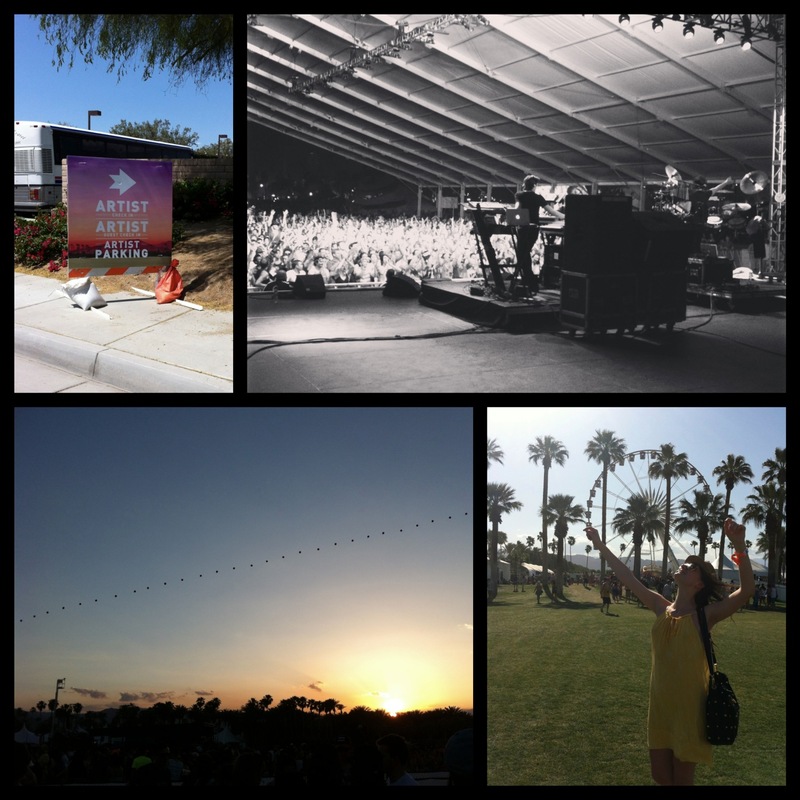 *Of course, my collage is only a poor attempt to capture the beauty of this year’s Coachella festival. A substitute dominant chord resolves a half step down and takes the lydian dominant scale. 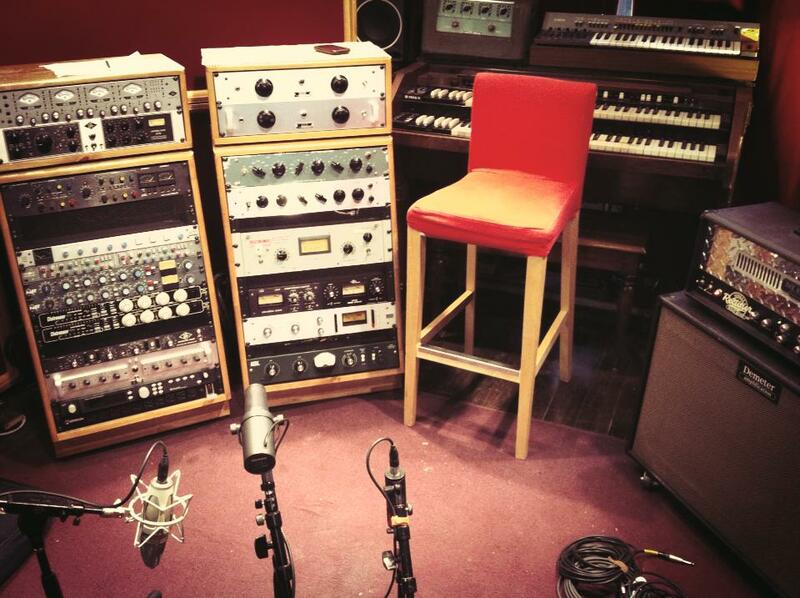 To create an “ow” sound on a synth you need an LFO, an LPF, a VCA and three EGs. Even though they look the same– wax paper should not be used as baking paper. These days I am having a great time with the crew of PureMix. They are shooting new tutorials for their website and I get to visit the set. I feel like in a candy shop, checking out some mouth-watering gear and learning from the most knowledgeable audio engineers. A few weeks ago, True Motion Pictures reached out to me to produce a song for them. 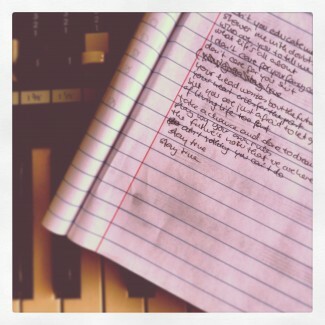 So I sat down with my Hammond SK1, a notebook and lots of Starbucks coffee to come up with a riff, the melody and, of course, lyrics. 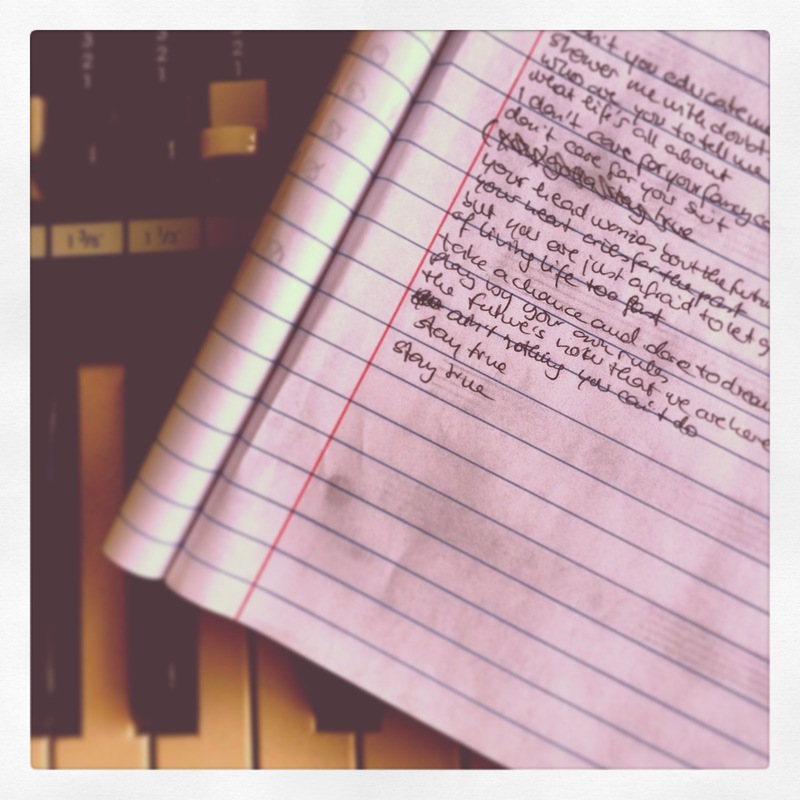 But writing lyrics and composing a melody is just one step of the whole production process. You have to arrange the song, which means deciding on tempo, key, style and instrumentation. You could turn a Beatles tune into a death metal song or Nirvana’s “Smells Like Teen Spirit” into a dance track. You don’t have to, of course, I’m just saying– that’s what ‘arranging a song’ means. 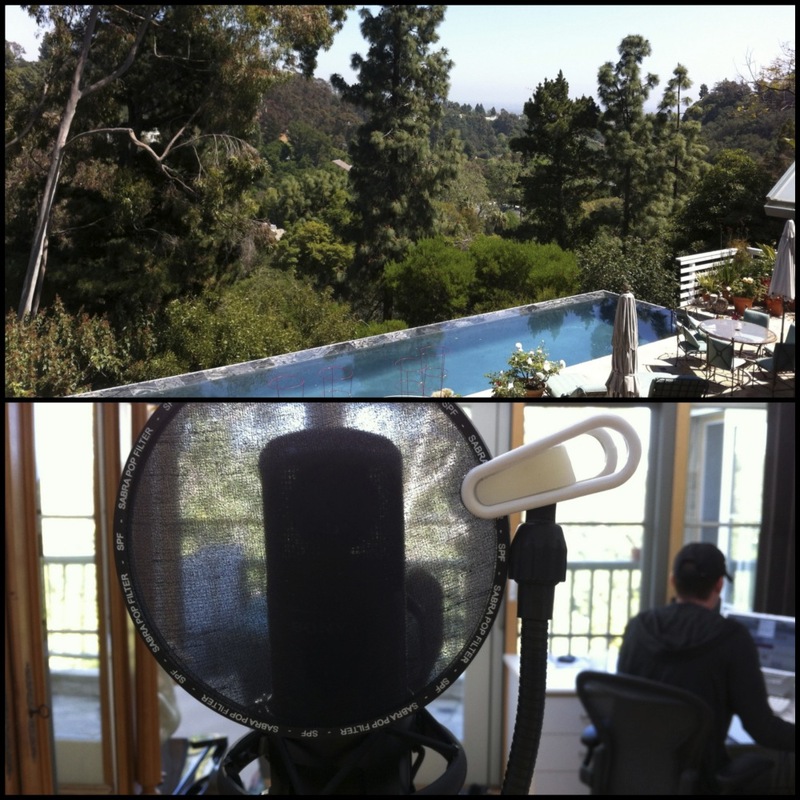 The final step of the production is the mix and the mastering. Besides great taste and excellent ears you also need a lot of experience for these matters so you might wanna hand your tracks over to an expert, which I did. Sal Ojeda has been mixing for film as well as for ridiculously famous artists (who we’ll not even name because we’re too cool to even bother). All there is left to say is: I am really grateful for my wonderful team. Thank you for your passion, musicality and inspiration @ James Applegate (drums), Benjamin Krause (Hammond/bass), Mike Hernandez (guitars), Andres Fonseca Alfonso (percussions), Sal Ojeda (mix/mastering) and Alexander Papastawrou (True Motion Pictures). Posted in Audio Nerd, Music.Music.Music.